Sarawak-based infrastructure specialist Hock Seng Lee Berhad (HSL) has continued an upward trend in its financial results after a highly productive start to 2018. Revenue for HSL Group for the three months ended 31 March 2018 reached RM131.76 million with profit before tax at RM18.54 million. This represents an increase of 39 percent and 24 percent respectively over the RM94.92 million in revenue and RM14.91 million in profit before tax recorded for the first three months of 2017. 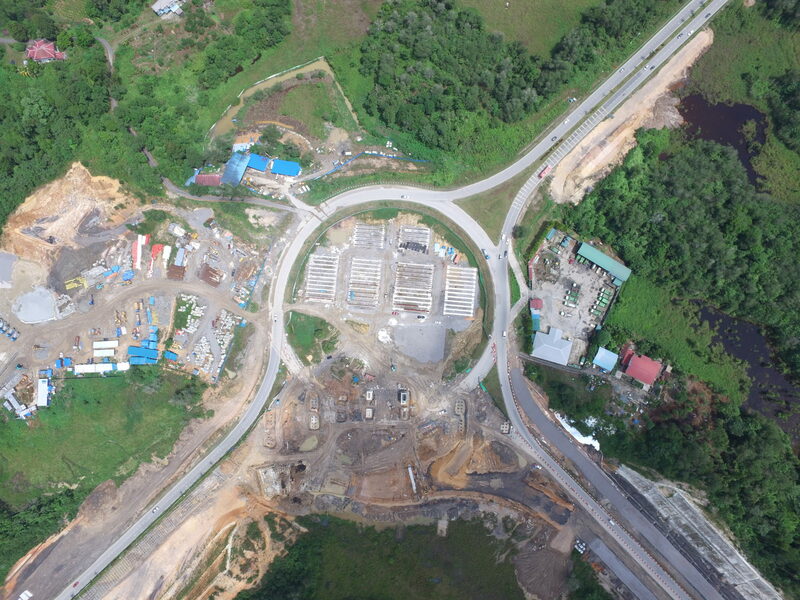 An aerial view of one of the two interchanges HSL is constructing as part of the Pan Borneo Highway in Sibu. Certain comparative figures have been restated as the Group has fully adopted the Malaysian Financial Reporting Standards (MFRS) for its financial year commencing 1 January 2018. The adoption of MFRS does not have any material impact on the financials of the Group with a more detailed analysis in the Group’s Quarterly Report released today. 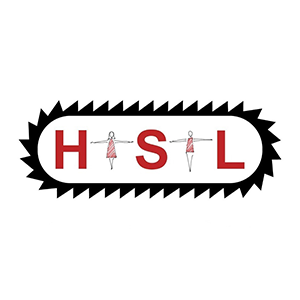 “We are on a growth trajectory and as we iron out the issues which have hampered our mega projects, we are also seeing our margins improve,” noted HSL Group managing director Dato Paul Yu. The year ahead will continue to be busy as HSL sets about executing an order book which remains at an historical high of RM3 billion. “We still have RM2.5 billion unbilled, so there is ample work to be done and revenue to be realized,” he added. At the HSL Annual General Meeting in Kuching on March 24, shareholders approved a final single-tier tax exempt dividend of 1.4 sen per ordinary share. Added to the interim single-tier tax exempt dividend of 1 sen per ordinary share paid in October 2017, the cash dividend for 2017 will total 2.4 sen; the same as for 2016. The final dividend shall be payable on 25 June 2018 with the entitlement date set for 11 June 2018. “Although we do not have a fixed dividend policy, we have consistently ensured attractive returns to our loyal shareholders and the fact that we are increasing our pay-out ratio compared to the previous year indicates our confidence going forward,” Yu said. On political events in the nation, he said there would likely be some uncertainty during the transition of power that may unsettle the market temporarily. “There has been some impact on our share price recently, but it is now rebounding and we know the fundamentals of the company are strong,” Yu added. 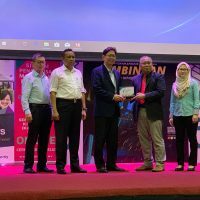 He reassured shareholders that there was no material event that has precipitated this and that all mega projects and the 16 or so other projects across Sarawak, have been progressing well. Mega contracts underway include the Pan-Borneo Highway work package 7 which covers Bintangor to Julau Junction, Btg Rajang Bridge and Sibu Airport to Sg Kua and the centralized waste water management (sewerage) systems for Miri city and Kuching (Package 2). As at the end of April 2018, the Pan-Borneo Highway works reached 25 percent completion with the Kuching wastewater works at 5 percent and the Miri wastewater works at 15 percent. 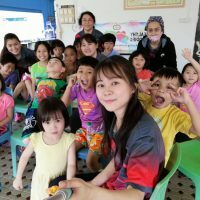 “As an accomplished, hands-on Sarawakian contractor with a good track record undertaking vital public sector infrastructure projects which are by and large procured in open tender, we remain optimistic on our prospects,” Yu reiterated. 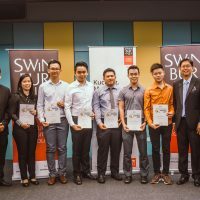 The manifesto of the present federal government identifies infrastructure development as the key driver of economic growth and has promised to increase petroleum royalties to the East Malaysian states thereby enabling a greater allocation of resources. 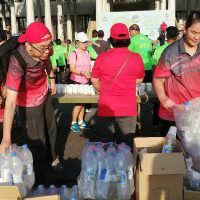 These resources can be channeled into better infrastructure including clean water and clean energy to urban and rural areas, roads and bridges, schools and health centres – all of which offer opportunities for the construction industry in Sarawak, particularly as contracts are to go to locals. With regard to the outlook for the rest of the year, Yu said he anticipated the uptick in revenue and improvement in margins to continue with the increase in construction activities. He also observed that the property development sector, which had contributed just over 13 per cent to Group revenue this first quarter 2018, is likely to have an increased impact on the business. There is currently RM266 million worth of property development projects underway including commercial, industrial and residential products, while new launches in 2018 will be worth some RM150 million, nearly double what was launched in 2017. Yu also noted that the HSL Group had established two new wholly-owned subsidiaries to offer future income streams for the Group. These are a management company to manage the guarded and gated residential communities developed by the Group and an investment company to invest in real property such as the new HSL tower headquarters and community mall at the La Promenade development. “While we will be focusing on project execution and our large order book will keep us busy for several years, we are not ruling out further selective procurement. “Our balance sheet is strong and we have the technical capacity to handle additional works in our areas of strength,” Yu said. Also available to read online at The Star Online and The Edge Markets. You can also download a copy of our Annual Report 2017 here.